There are two categories under the Quebec Experience Class or PEQ : one for foreign students and another for individuals with work experience in Quebec. Immigration to Quebec is a two-step process in which an applicant first applies for a Quebec Selection Certificate or "CSQ". 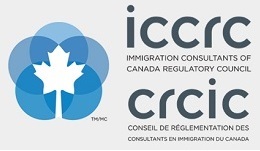 Once the applicant obtains a CSQ, he or she must then submit an application to Citizenship and Immigration Canada for federal approval before the Canadian Immigration Visa can be issued. Federal immigration authorities will primarily be responsible for processing criminal and medical checks. ● The student must show that he or she has successfully completed an advanced intermediate level French course at a Quebec educational institution, if his or her studies were not completed in French, or prove French ability by way of a standardized language test recognized by the government of Quebec. ● The worker must show that he or she has successfully completed an advanced intermediate level French course at a Quebec educational institution, if his or her studies were not completed in French, or prove French ability by way of a standardized language test recognized by the government of Quebec. Alternatively, he or she can show that he or she has satisfied the French language requirements of the professional order governing his or her occupation in Quebec.